With the Summer holidays practically on our doorstep now is the time that parents up and down the country are frantically trying to plan how to spend those Six. Long. Weeks. Despite my best intentions and those oh so pretty Instagram accounts that make the holidays look like memory making bliss, it never goes like that in my house. There'll be swearing(from me), bickering(between the kids), a constant food shortage(again, the kids) and just general hell on Earth. Day trips are one of my fave ways to try and avoid all of the above and as Merlin Annual Pass holders we try to make the most of the free and cheap days out. Our 2 year olds park of choice at the moment is Legoland and whilst I can't convince the older 2 that a day surrounded by toddlers and Lego bricks is a fun day out, the 9 year old is young enough to still think its cool to spend the day with mummy. 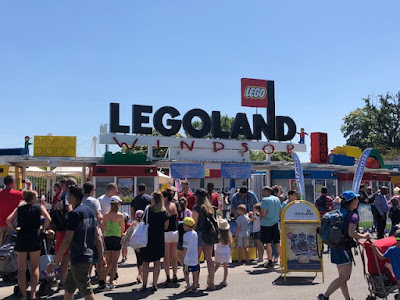 It can be, actually lets face it, it is at its busiest and manic during the summer holidays but as Legoland Windsor veterans I've got 10 top tips to help make your day a little less "I neeeed a bottle of wine" and more like "that wasn't so bad"
Yes Legoland do those oh so cute refillable Lego themed bottles but they are also £8.50 and hold about 300ml which let's face it on a hot day won't last very long. The refill stations often have very long queues which can see you waiting up to 20 mins for your teeny tiny refill and only fizzy drinks are available. Bottled and cup drinks are available to buy but it is much cheaper to just take your own. As Legoland is a family park aimed at younger children there aren't many rides that aren't popular which can result in lengthy queues for most rides. There are some fab shows that are free to watch and repeated a few times throughout the day. These are great for when your little ones(and you) just need to stop for a break or want to avoid rides for a while. 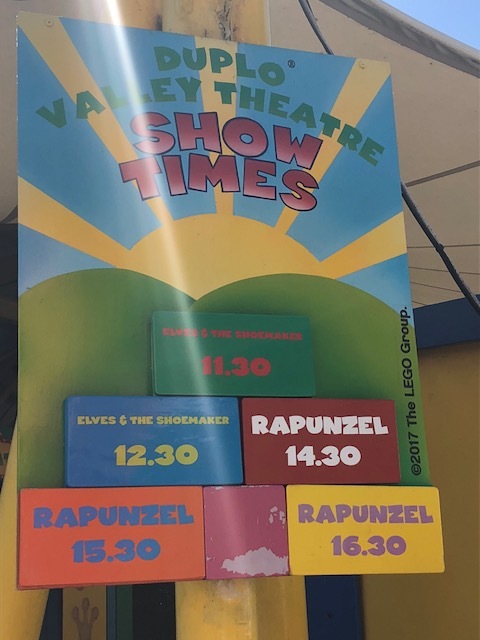 The Pirates of Mutiny Bay show and The Lego Friends show are both performed around and on the lake in Heartlake City but get busy so try and get there about 15-20 minutes before show time to get a seat. 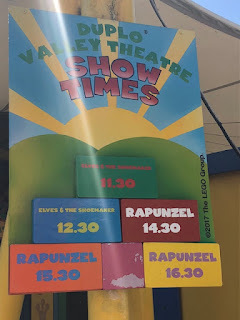 There are also shows on at the Duplo Valley Theatre in Duplo Valley which are really sweet and under shade. Again, try to get there early to bag yourself a seat. The Ninjago Live - The Portal of Peril show is a must for any Ninjago fans. Based on the stage near Miniland there isn't any seating but is definitely worth taking some time out for and is in one the the less congested areas of the park. If the weather forecast is rather warm, make the most of it and pack the kids swimming kits. In Duplo Valley there is a lovely little water park called Safari Splash park for younger kids and Drench Towers for the more adventurous. There are some changing rooms although not loads and if you do forget a towel or costume/trunks then there is a shop right there but again be prepared to pay! Nobody wants a tantrum in the middle of a packed park so do a little research before you go. Sit down together and look online at the rides and check the minimum height requirements for the rides yours little ones really want to do before setting off so that their expectations are realistic about what they can go on and avoid having to deal with the upset. Before you set off, download the Legoland app. 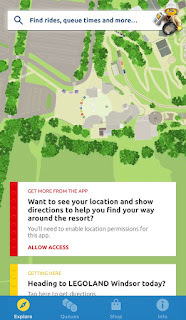 Once in the park, connect to the free wifi available and use the app to help you plan your day. 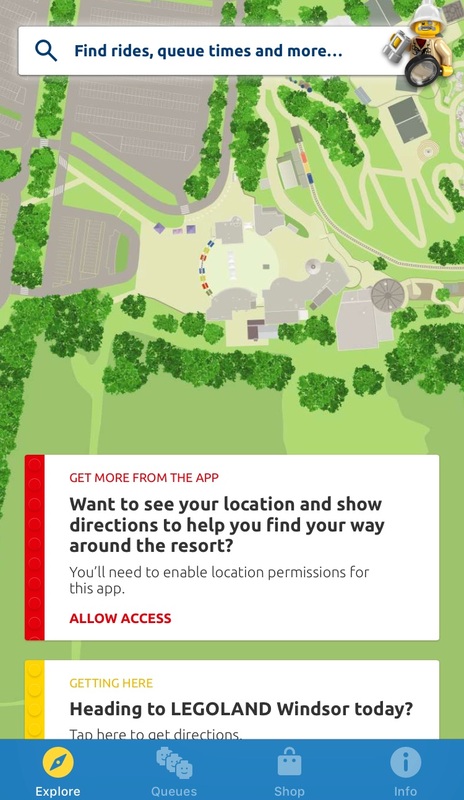 The app is full of useful info like queue times, directions to help you find your way around the resort, show times, minifigure trading info and details of all the shops and food outlets on resort. This is my go to resource whilst in the park. Food outlets are dotted around the parks but like the drink refills often have rather long queues and are quite pricey. There are plenty of picnic areas within the park that welcome you to eat there, make the most of these. We tend to throw some wraps or sandwiches, crisps, fruit, snack packs and biscuits in a little case on wheels along with some ice packs. That way not only is there a packed lunch but then there are also snacks for the kids throughout the course of the day. This is another tip if you want to avoid crowds and queues, make use of the play areas. There are a few play areas in different lands around the park. They are a welcome break when you just need to recharge your batteries and can sit and supervise your little darlings run themselves even more ragged whilst you sit and wonder "what time is closing time again"
A water ride in the heat you say, sounds brilliant, until you go on what is affectionately known as the *wet knicker ride* or officially known as raft racers. You race down a water slide in a rubber dingy taking in water as you go and as I discovered, the heaver you are, the wetter you get. You'd think a bit of water would be nice and cool you down but it doesn't. You end up soaked through to your undies and even when you do dry off you are left with a rather unpleasant water smell for the rest of the day. 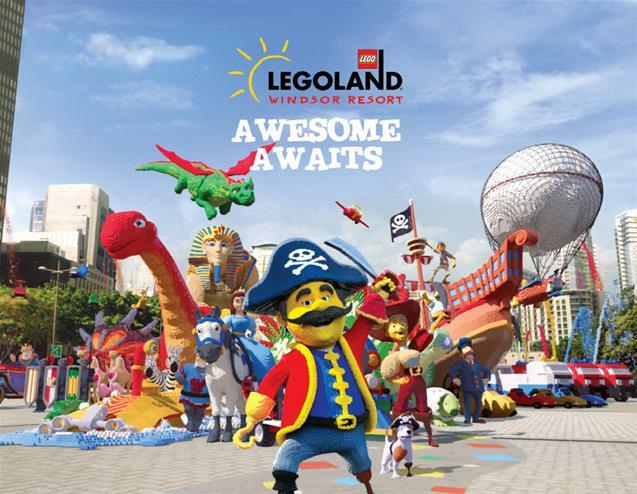 If you've had an absolutely magical day, enjoyed every minute and can't wait to do it all again, then why not speak to the guest services team about upgrading your day ticket to a Legoland annual pass or Merlin annual pass. It's so easy to get caught up in the headache of planning the outing, making lunches, packing the bag, keeping tantrums at bay and entertaining everyone but there really is no point going to all that effort if you can't enjoy yourself. So, put on those sunglasses and your comfy shoes, embrace your inner child and have fun! What are your top tips for surviving a day at a theme park? Just in time for me. Probably heading here in August. Pinned! This is one of our fave places to visit with our daughter and I have to second the height check. I didn't know about the app so that will come in handy for our next visit!